Inquiry-Based Early Learning Environments takes an in-depth look at children’s inquiry. What does inquiry look like in early childhood settings? How does the environment affect children’s inquiries and teachers’ thought processes? Inquiry-Based Early Learning Environments examines inquiry in all its facets, including environments that support relationships, that create a culture of risk-taking in our thinking, that support teachers as well as children, that include families, that use documentation as a way of thinking about our work, and of course, the physical environment and all the objects and spaces within it. 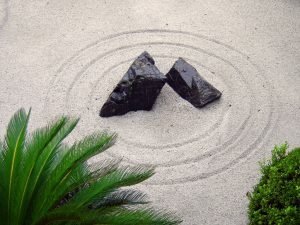 Throughout, stories about environments and approaches to inquiry from around the world are included as examples. 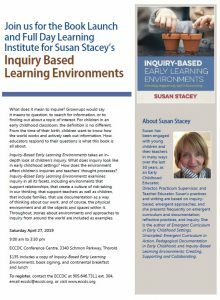 Registration fee includes a copy of Susan Stacey's book, Inquiry-Based Early Learning Environments, book signing, continental breakfast, and lunch. Please click image above to view flyer to learn more about the presenter and her new book.